If there are two things we like here at Cheese Magnet it’s ’70s foxes and acts that didn’t quite make it to stardom. Rachel Sweet is a perfect example of both. 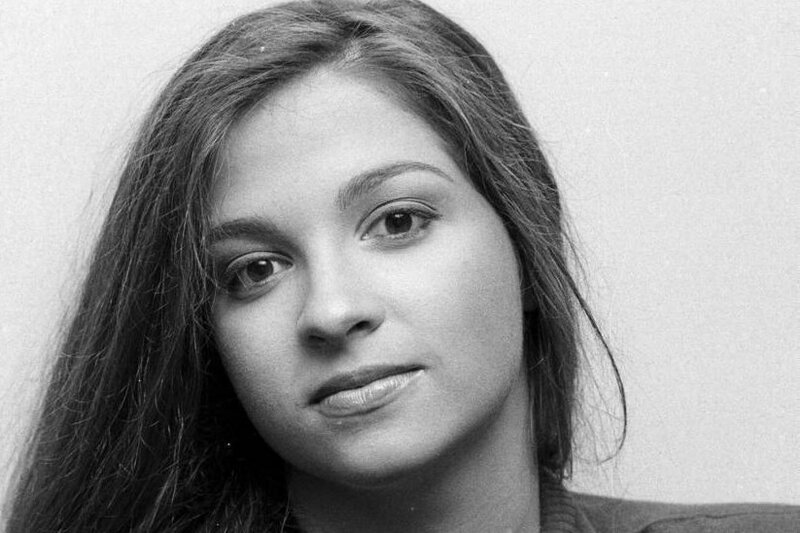 The Akron native had been singing and performing most of her life before she was discovered and signed by England’s Stiff Records in 1978 at the very young age of 16. Her parents gave their blessing for Rachel to drop out of high school and move to London with her 18 year old sister in order to focus on her career. Perhaps not the best parenting decision but it did lead to a career in show business and Rachel seems to have turned out ok.
She sounds great but did kids in 1981 really want to buy a straight remake of their parents music? Evidently not. Maybe have Rachel cover Elvis? Not many 18 year old girls can manage a sincere Elvis cover but I think she pulled it off. This was off Rachel’s second album, Protect The Innocent. It’s just as good, if not better than the first and even includes a couple of Rachel Sweet originals. Rachel moved to Columbia Records for her third album, …And Then He Kissed Me. Moving to a major label should have meant this was her breakthrough but again a scattershot selection of songs and lack of an easily marketable niche made for weak sales despite stellar vocals from Rachel. Once again Rachel wrote two songs, and brought in cheese idol Rex Smith for a duet on Everlasting Love, which went to #32 in the US, Rachel’s biggest hit but still well below expectations. Much like a child actor or an athlete who dominates at a young age, I think Rachel just peaked too early. With Voo Doo she was at the age when most singers are just being discovered but she already had three albums under her belt and countless hours touring and making promotional appearances. It’s not suprising that she gave up the music business after a grueling four or five year period, at a time when most girls her age would have been in high school and college. So whatever happened to Rachel Sweet? She made a transition into comedy, first as one of the original video hosts on The Comedy Channel, then she hosted a show on Nickleodeon called The Sweet Life, where she sang the theme song. She also worked with John Waters, contributing songs to Hairspray and Cry Baby. Her work in TV continued, with a few minor roles but she found much more success behind the camera as a writer and producer for shows like Dharma and Greg and Hot In Cleveland.